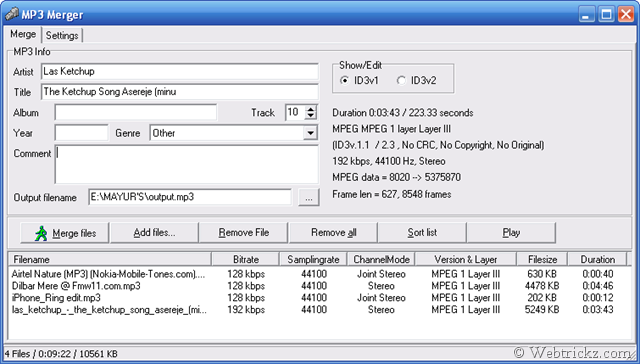 MP3 Merger is a free tool for joining MP3 files together. You can create your own remixes and long music files by simply adding a list of selected files to it. It can be useful for parties where you don’t want to change the music track again and again. The quality of output file is also good.